Ride Safe – it’s a phrase that we don’t take lightly around here. We are always looking for products that help ensure we finish every ride without any extra scrapes, bruises, or close encounters with vehicles. 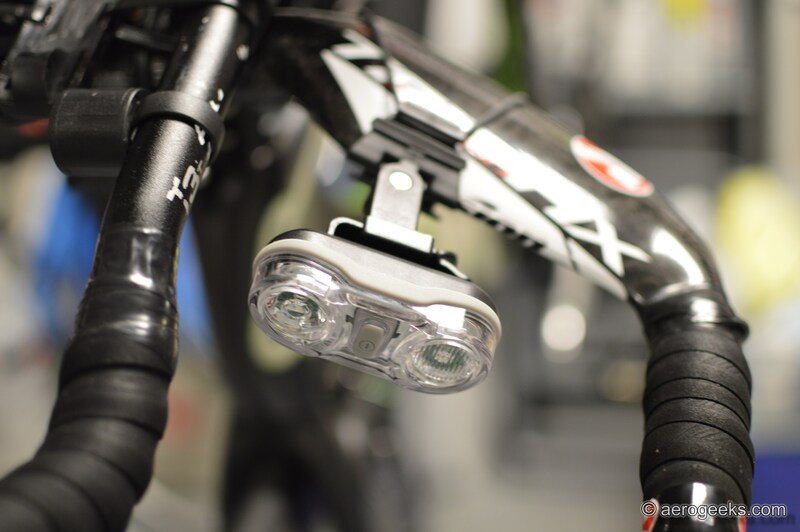 Since most of us here at AG ride early in the morning, lights are obviously a must have on all of our frames. But unfortunately the majority of lights on the market are optimized for a cylindrical seat post. 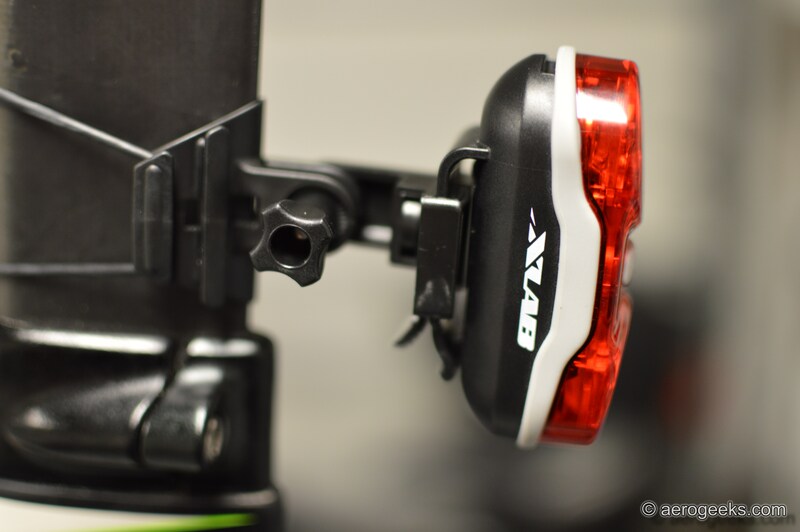 We’re sure most of our readers have experienced the frustration of trying to get one of these lights to fit on their tri bike—we know we have! 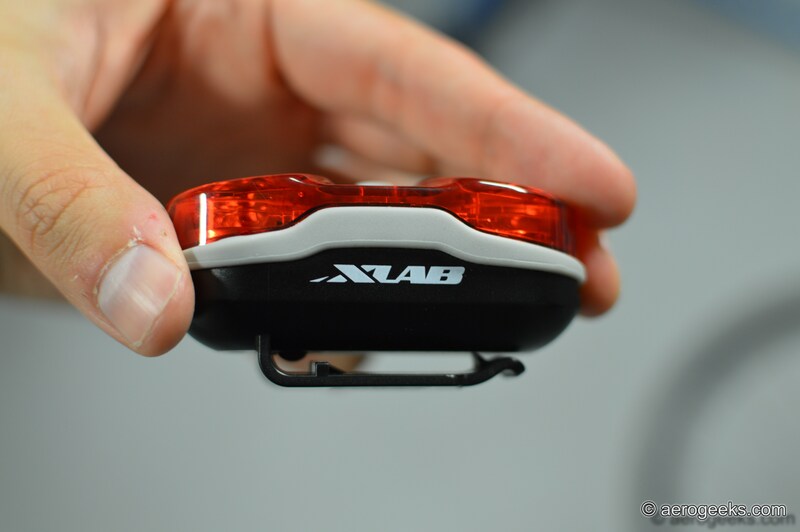 Fortunately XLAB has provided a solution with their Tri Bike Training Strobes. 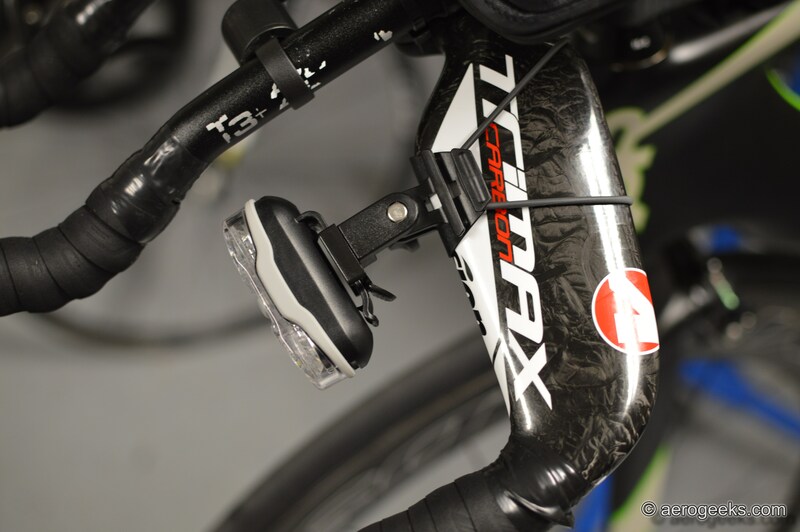 The Training Strobes employ a V-shaped bracket that wraps around a tri bike’s aero seat posts and allows for an exact fit. We swapped the light between three different bikes (QR CD0.1, Cervelo S5, and Specialized Shiv) and never had an issue. What makes the bracket work effectively is the included non-slip insert. Unfortunately for us, when we first installed the lights we neglected to install the inserts and quickly realized the lights were not secured during the ride. Once we correctly installed the inserts, the lights were solidly placed and never moved again. The lights themselves are a pair of .5 watt leds (white up front and red in the back). XLAB has designed them to be used during the day, and as a result they are incredibly bright at night. So bright in fact that we received a few complaints from any riders that ended up trailing us as they were quickly blinded. But when your goal is to be seen by motorists, this is a good problem to have. 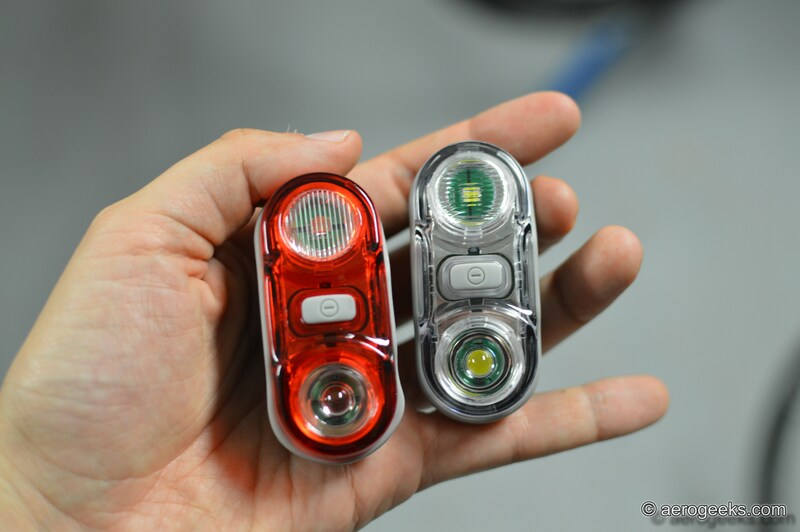 The strobes have a built-in belt clip so they can be easily taken straight off the bike and clipped to a run belt. Doing an early morning brick? XLAB has you covered. The only issue we had with the lights is that they use standard AAA batteries versus rechargeable. To be honest, at first we thought this might be a good thing since we so often forget to recharge our lights. We thought we’d rather replace batteries than be left without a light for a ride. However, we found that when we went back to non-rechargeables, we not only forgot to notice the batteries were weakening, but when they finally died we took a week to replace them. While this tended to be an inconvenience, we still really liked these lights and hope that XLAB produces a rechargeable version soon. At the end of the day, this is the light that has ended up on our personal rigs, and that is the highest form of recommendation we can give. If we are willing to spend our own money on this equipment, you can be sure we’d recommend you do the same.